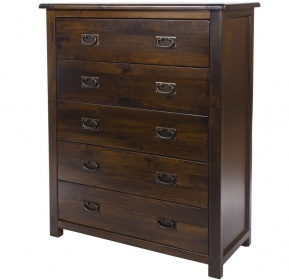 Tall chest with five good sized drawers providing you with a generous amount of storage space. 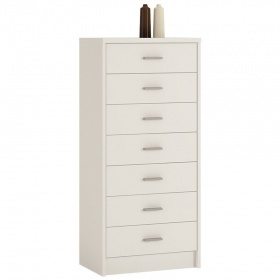 Minimalist french style suits a wide range of interior decors. 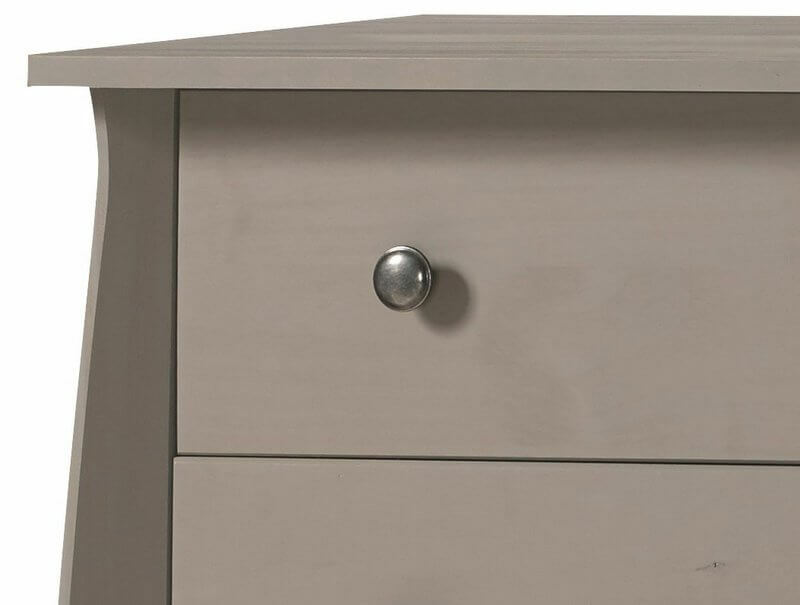 Fashionable subtle grey wax finish works in harmony with the metal handles. 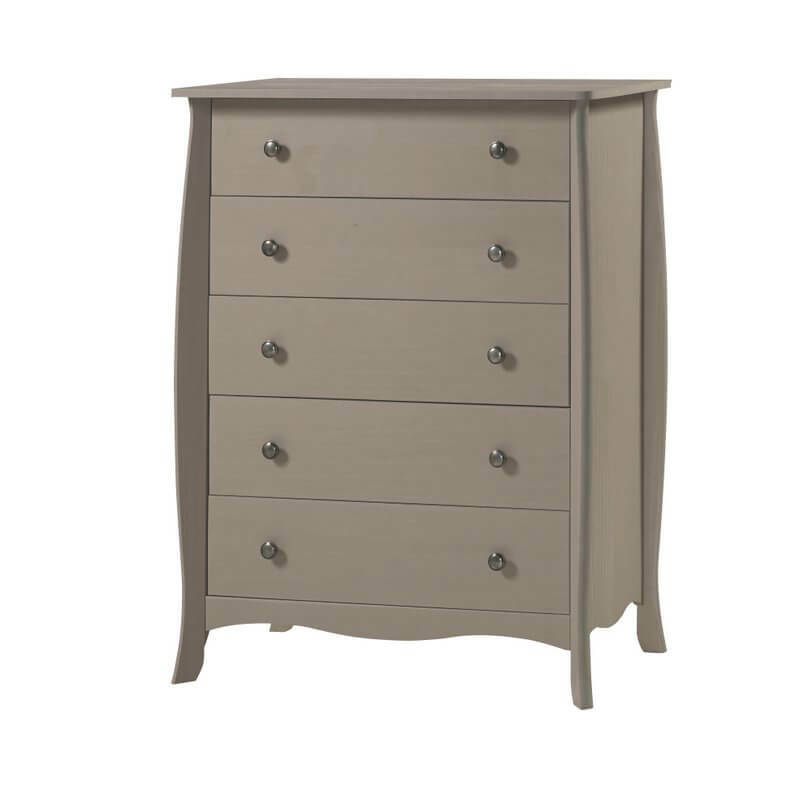 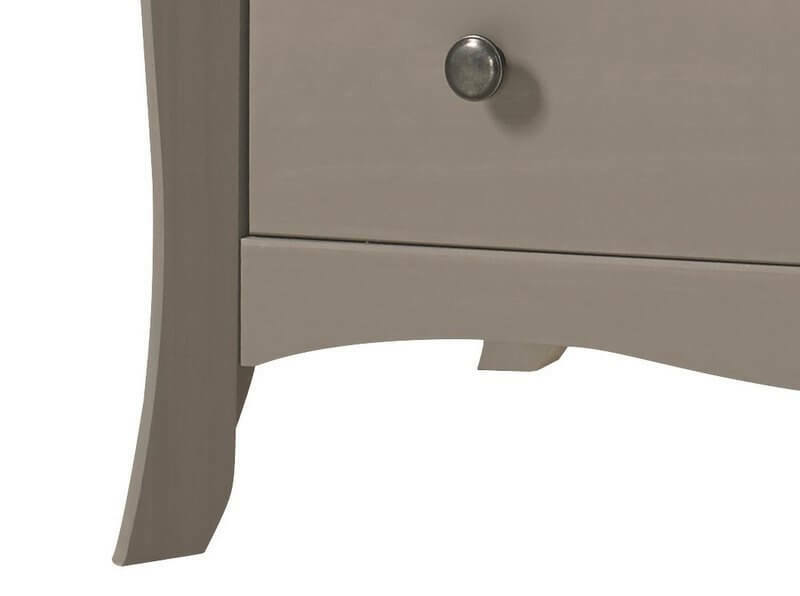 Elegant legs and fluted sides add to the appeal of the Provence five drawer chest. 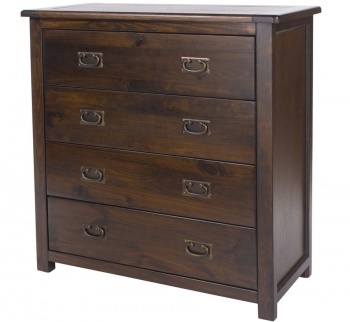 Constructed from solid pine with plywood cabinet back and drawer bases. 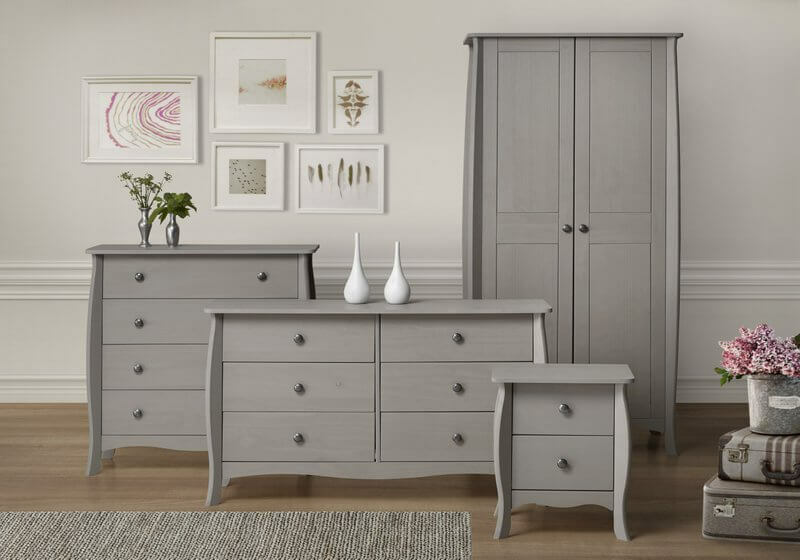 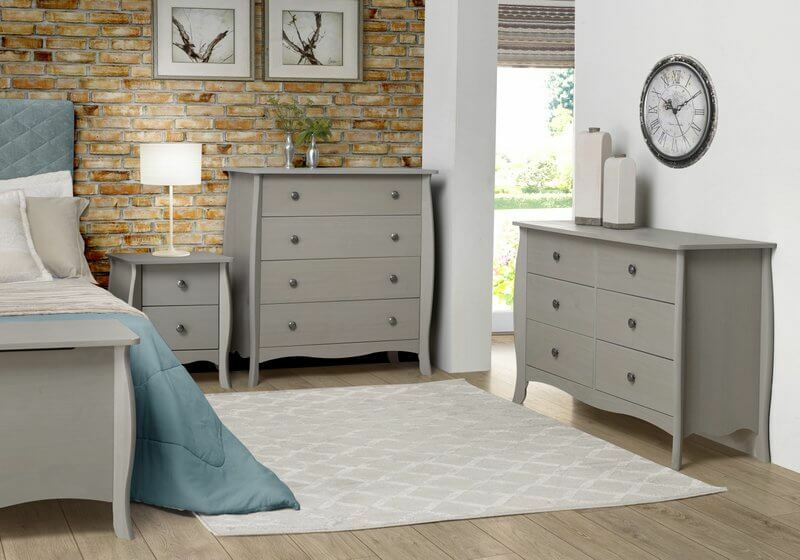 Part of the new Provence grey bedroom furniture range.